A unique piece of silver keepsake jewellery captures a cherished moment for a lifetime, bespoke and personalised to you. We are independant and not part of a franchise so we are open to new ideas, please contact us and we will be happy to help. Visit us in our studio in Basingstoke where we will be happy to take your impressions for you for the keepsake jewellery. 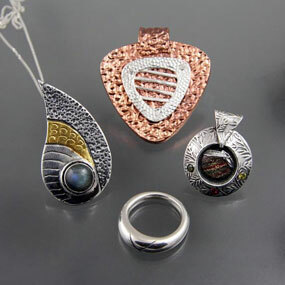 We also have a large range of jewellery on display. 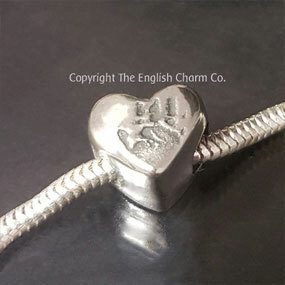 Orders can also be placed online via our shop, where you will be given the opportunity to completely personalise your perfect peice of silver keepsake jewellery. Please allow 3 weeks after we have received your prints/artwork for you to receive your finished gift. 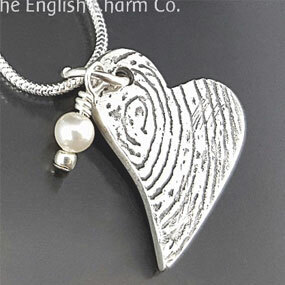 We can also create stunning silver keepsake jewellery with pet paw prints too.